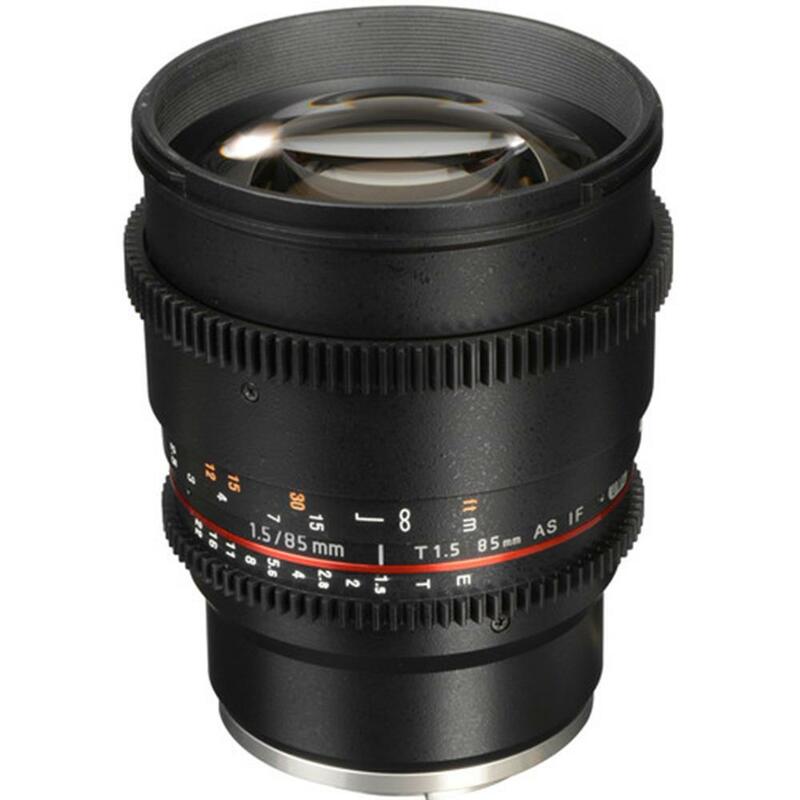 The Rokinon 85mm T1.5 Cine Lens produces a slightly telephoto angle-of-view on full-frame sensors. 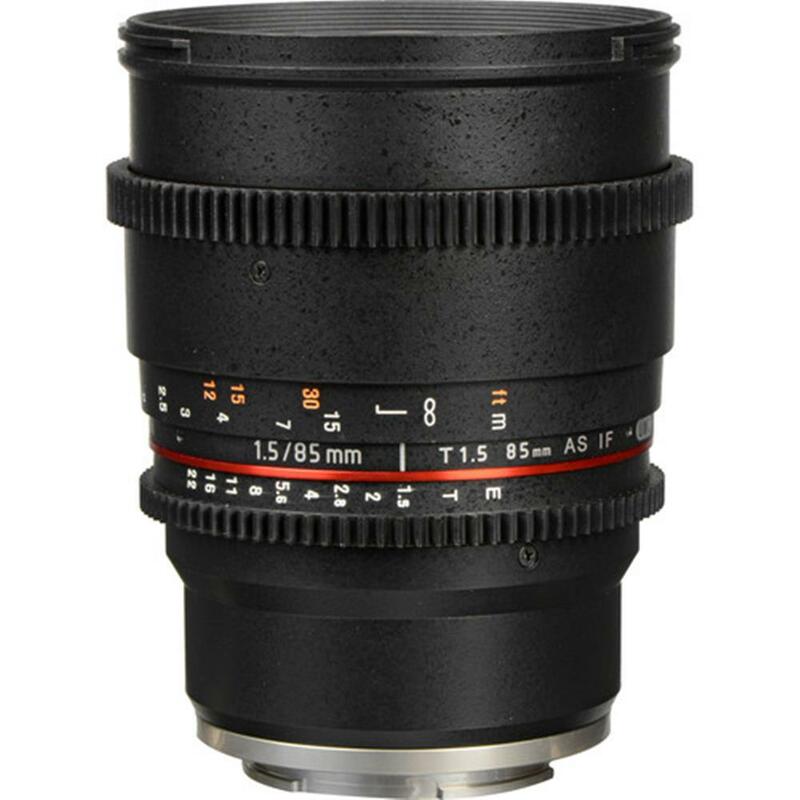 It features a very fast maximum aperture of T1.5 and an 8 blade iris, for shallow depth of field with attractive bokeh. 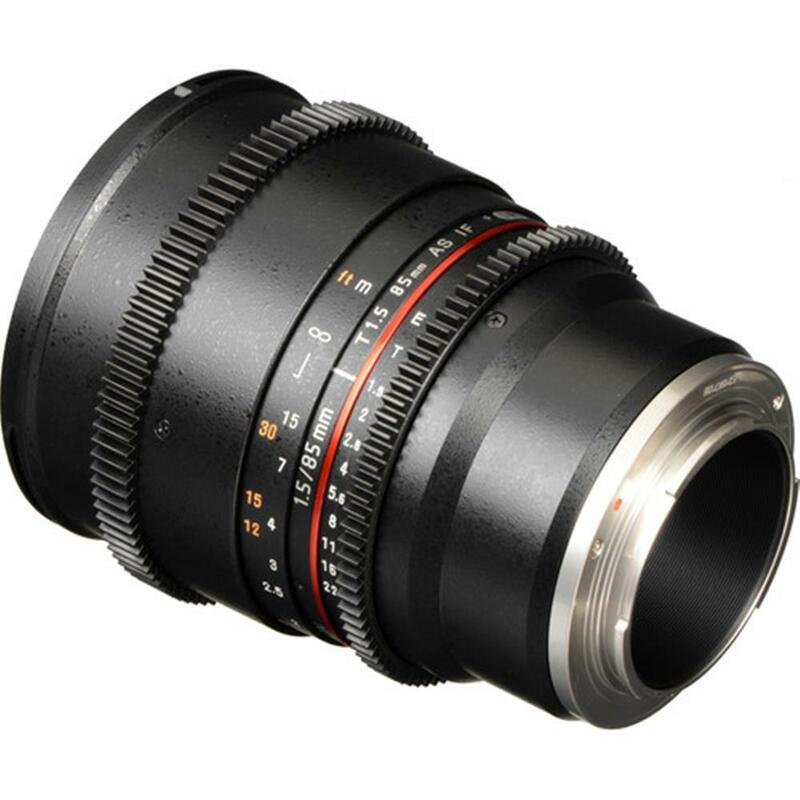 The focus and aperture control rings are outfitted with industry standard gearing, which provides an interface for working with a traditional follow focus. 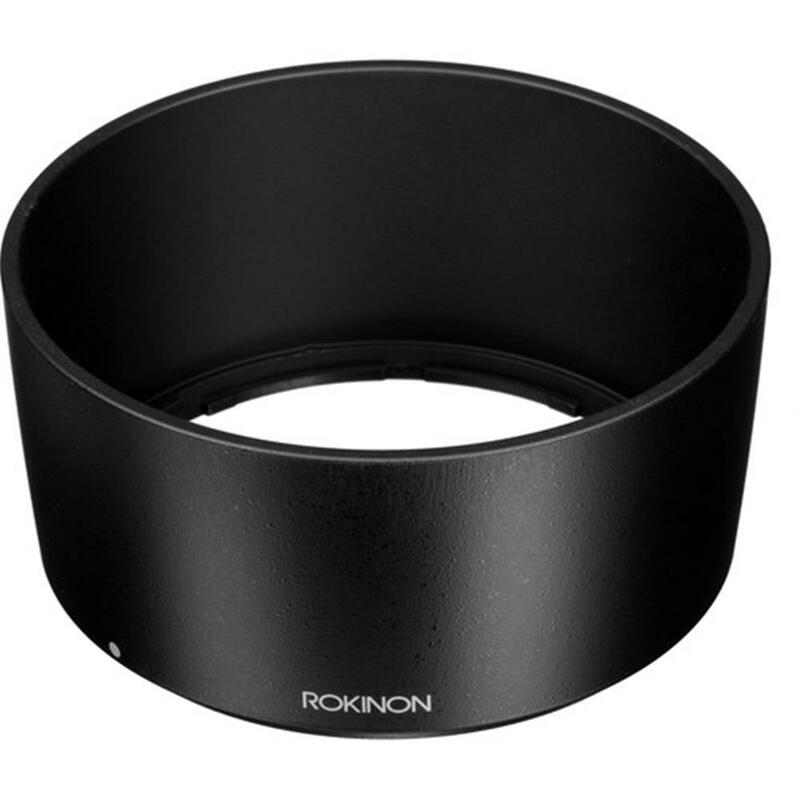 The aperture control ring has also been "de-clicked", which facilitates smooth iris pulls.